Why do we remember the things we do? Does the reason matter? Or is being noticed the only imperative? The world is getting more and more crowded, to be seen is becoming every day more difficult. We try all sorts of ways to reach our target and connect. In this rush, and the pressure is very real no doubt, is something essential getting overlooked, even lost? The reason someone looked at us. What we said of ourselves in a piece of communication. How we said it and was that a reflection of who we are. No matter what one may say, why we’re recalled remains important, one can’t take away from or negotiate that. This might seem obvious, nothing to talk about; and yet, we often do see content that seems to care only about “grabbing eyeballs”, scant regard for anything else. We feel it’s worthwhile to take a good hard look at what one is saying and how; and be remembered for the right reasons. Picture: Marina Bay Sands from the Esplanade Park, Singapore. 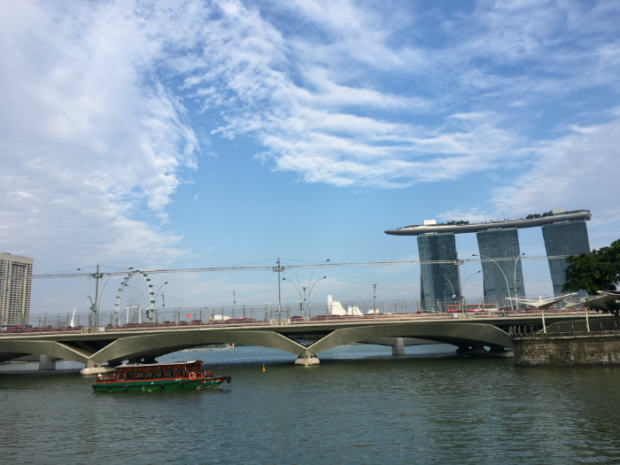 We are based here in Singapore, and are happy to write for clients anywhere in the world.